Our home "Pelican" is brand new and has just been finished and finally furnished in September 2015. It offers 3 bedrooms (sleeps 6) plus a den, 2.5 baths and a private heated pool on a total living area of 2233 sq ft . It is furnished to a high standard and fully equipped with all the essentials for a relaxing and enjoyable vacation. You can also have barbecue right at the pool and enjoy the amazing lake view under Florida sun. A brand new luxury home with private pool in a gated community. 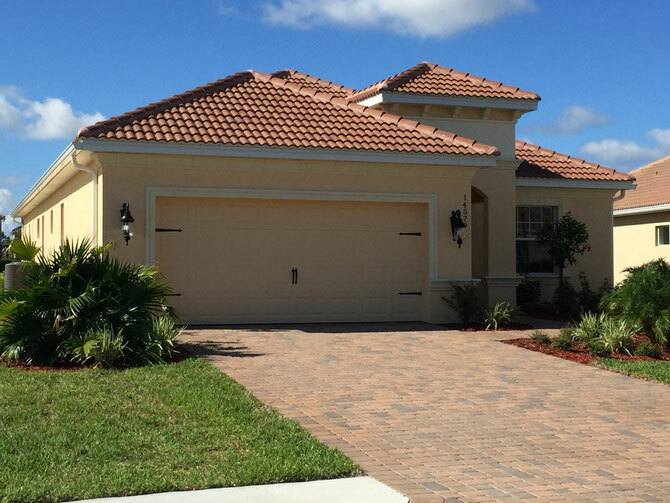 The home is located in Reflection Lakes, a gated community in the south-east of Naples. Great restaurants and shops (including famous Naples 5th Ave. and Miromar Outlet Mall) are in easy reach. It is also a convenient place for exploring the Everglades or just relaxing at the world class beaches of Naples and Marco Island.